Oh no, I have been missing in action again! No, I have not forgotten about PonPeKo at all. I am still experimenting in my kitchen and trying out new cafes and restaurants. I just could not find time to write about them. Or… is it just an excuse for my lack of discipline? I just did two gym classes and got back home hungry. 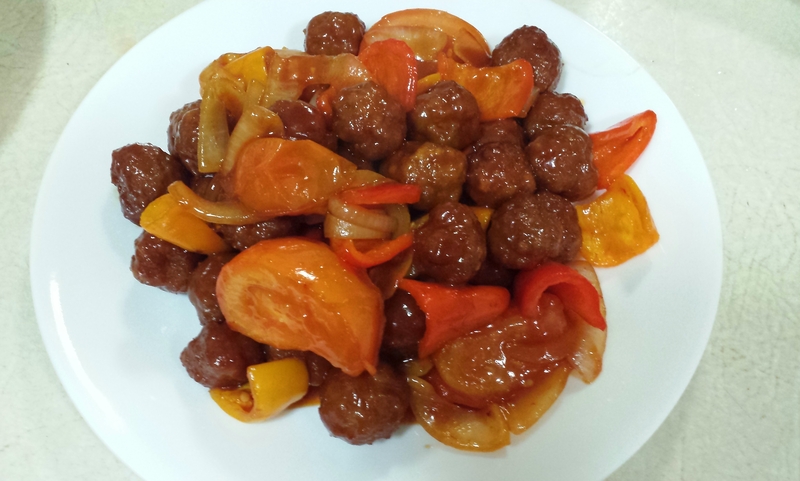 I have a pack of pork mince and some baby capsicums in the fridge and sweet and sour meatballs suddenly came into my mind. It is easy to whip up and Mr. D will love it as it is a meat dish and it is deep fried too. This dish is sort of a simplified version of Ku Lo Yuk dish.